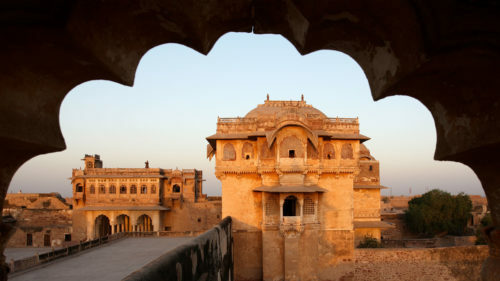 Just two hours from Regal Jodhpur you will find the magical Ranvas located within the ramparts of the mighty Ahhichatragarh Fort, Nagaur - meaning The Fort of the Hooded Cobra. During the 18th Century, the ruling Maharaja of the time, Bakhat Singh, sought to create a refuge from the external troubles of warfare and politics. The result was a series of pleasure palaces, each evoking the senses through artistic pleasures, from the sound of water fountains, to vivid fresco paintings and perfectly constructed geometric gardens. 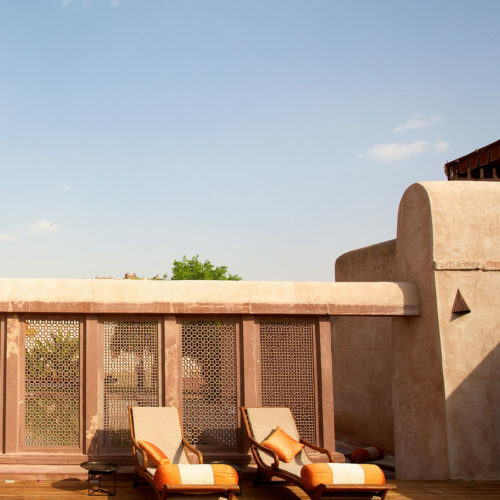 Within the Fort, Ten havelis, 18th Century residences of the wives of Ranis of Maharaja Bakhat Singh and the Maharanis of Jodhpur, have been meticulously restored to offer elegant accommodation, 33 rooms in total. 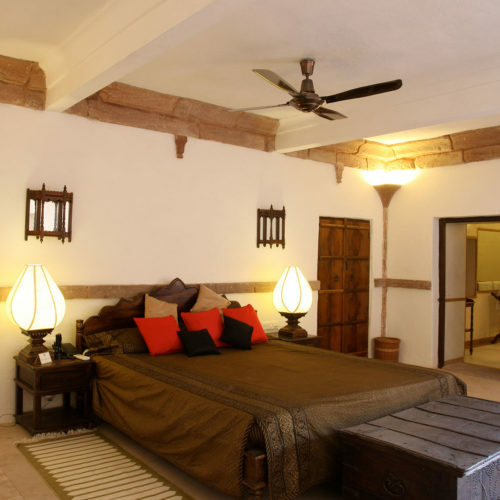 Each haveli features a private courtyard and outside living area, furnished with rare artefacts from the surrounding region. 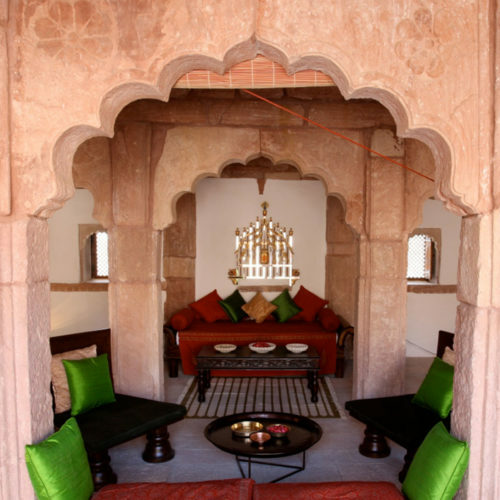 Each element of the Haveli experience - the textiles, interior design, culinary offerings and hospitality, resonates with the style of the states and the kingdoms from where the Ranis hailed - Jammu, Kashmir, Alwar, Jodhpur, Udaipur and Gujarat. 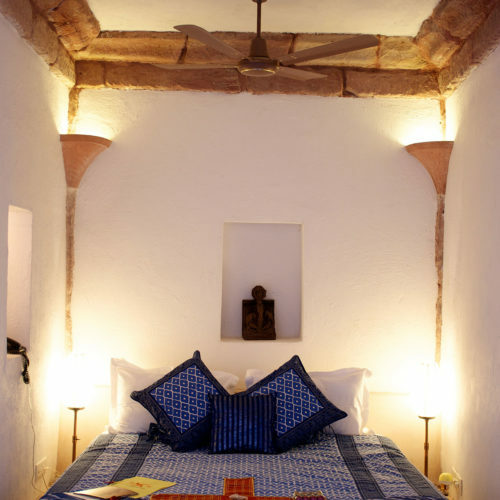 This is a heritage property in the purest sense - a regal residence, from which to explore Ahhichatragarh Fort. 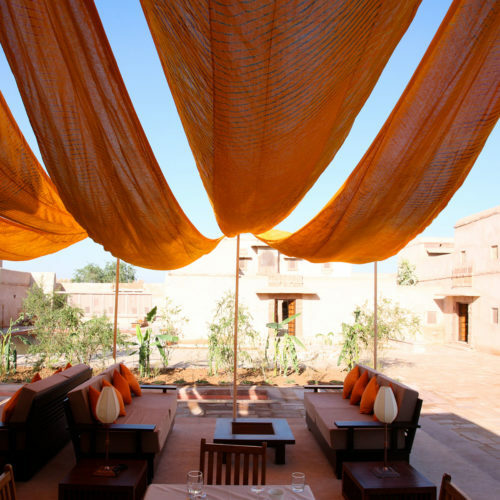 The luxurious Ranvas Hotel featured in our 50 things to experience in India article.